Naum Gabo - Pictur 12" featured as a DJ Mag Killer this month! 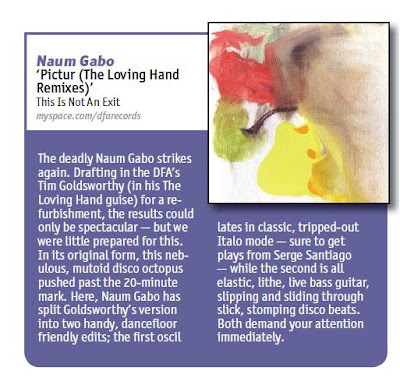 Naum Gabo Pictur 12" is a DJ Mag "Cutting Edge Release You Need In Your Life"
Shame they linked to DFA's myspace but you can't have everything. 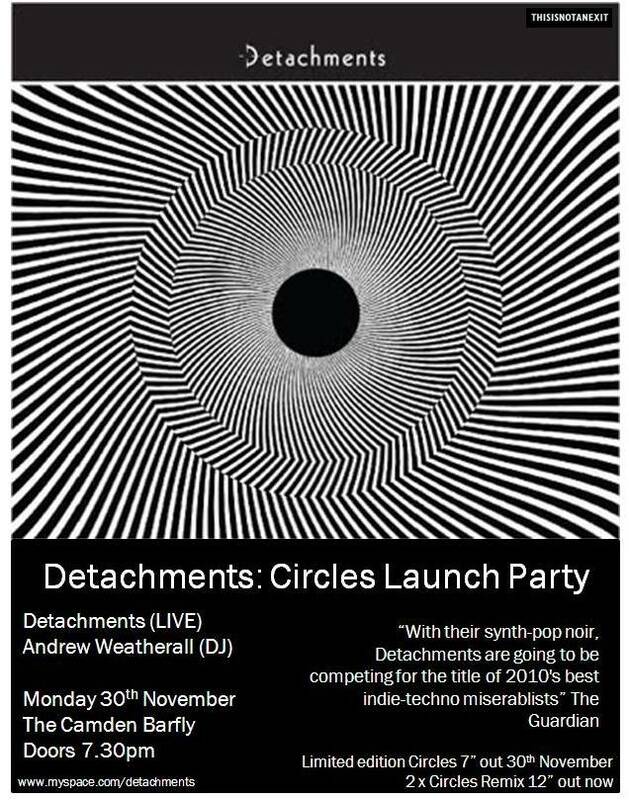 Don't forget the Detachments Circles Launch Party is this Monday at the Camden Barfly. 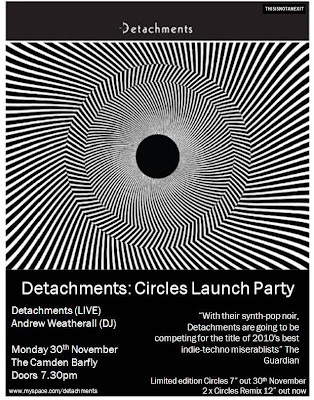 Andrew Weatherall DJ set and then Detachments onstage at 2130. We have a £4 cheap list for those that want to come along. It's all go at Thisisnotanexit HQ at the moment with two releases out this week. The second set of Detachments Circles Remixes hit the shops this week on 12" featuring Martyn's Round & Round Mix, the Mighty Mouse Remix and the King Of Town Remix. A big set of remixes. The Martyn Round & Round Mix features on Fabric 50 out in January and has been supported by Kode9, Annie Mac, DBridge, Zomby and Martyn himself. The Mighty Mouse Remix has been highlighted by Aeroplane as one of their favourite tracks of the year with a poppy nu-disco rework and played on Radio 1. Finally the King of Town delivers an absolutely huge electro monster of a remix which has been played at Optimo nearly every week for the past 6 months and is a bit of an anthem there (apparently). Anyways grab a 12" whilst you can - we were told earlier this week that nearly every copy has been snapped up by shops (there are 400 in existence) and will be sold out in a week or two. If you want to buy a copy direct just let us know - we'll send you the tracks on 320kps as well. Everyone's a winner as we make a touch more money on selling directly to people as we don't have to pay distribution fees (in fact those copies we sell directly rather than at shops keeps us afloat as a label a touch longer). Two years in the making this week sees the release of Naum Gabo's Pictur 12". We ended up not featuring the original version of Pictur as the remixes we ended up with were simply too stunning. The a-side features Joakim taking the track on a 10 minute acid disco excursion with a quite massive breakdown. I've been playing this out for 18 months now and I get asked about it whenever I play it. On the b-side features two Naum Gabo edits of the 24 minute The Loving Hand Remix (The Loving Hand is DFA's Tim Goldsworthy for those that don't know). Owing to The Loving Hand Remix being a 6 part 24 minute kosmische journey and quite literally being unplayable in a club (unless you want a toilet break whilst DJing) Naum Gabo took it upon themselves to pull out two of their favourite sections of the remix and edit them into dancefloor playable versions. So on the 12" you get these two exclusive edits. 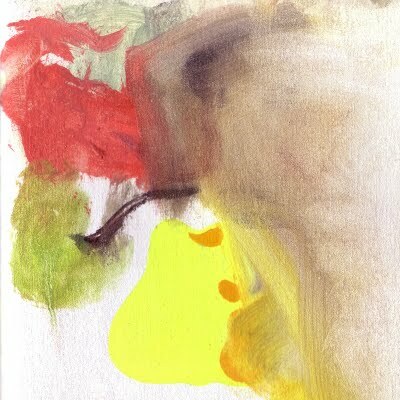 The 12" sleeve also features a painting given to Naum Gabo by Turner Prize nominee Cathy Wilkes. The sleeve is therefore in full colour with an expensive matt finish to make the visual element of the release truly stunning. We are releasing 300 only of these hence the high price. About 100 exist in the UK as 200 have been shipped around the world. Don't miss out on what for us is a quite special release. The release will only be available on 12" vinyl until the 12" is sold out and then we will release this digitally. 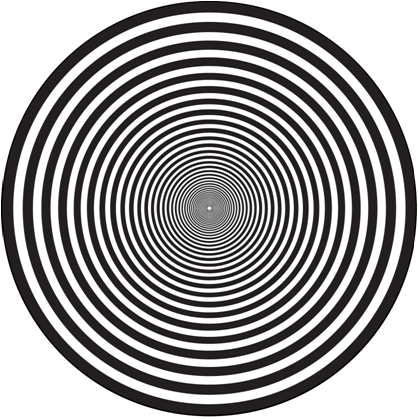 If you order a copy of the 12" via us at Thisisnotanexit HQ though we'll send you the release as 320kps MP3's as well. Email us for details and we'll let you know how to do it. The 24 minute The Loving Hand Remix will see the light of day in 2010 - it has been compared to E2-E4, LCD SS 45:33 and Can's Bel Air to the people who have heard it. 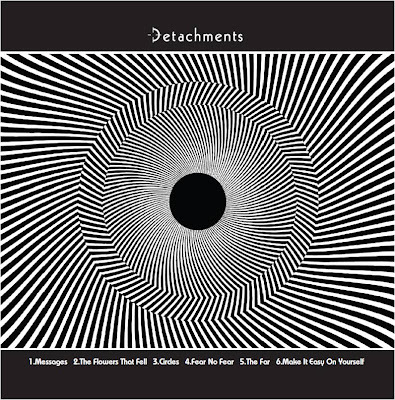 Detachments are currently on a tour of the UK. We have put together a very limited tour cd to accompany the tour - we have around 20 here in the Thisisnotanexit office for sale for those who don't live in the UK or missed the shows. First come first served. Once they're gone they're gone. How different does Little Boots look when she first appeared all brunette and indie compared with the Kylie-esque image these days. And how different is Detachments take on Little Boots Earthquake than the original. It sounds a bit like how LCD Soundsystem jamming with Ms Boots would do if you ask us. Quite a combination. Up for 14 days and / or 100 downloads and then it's gone. "Trapped in a frozen moment of time staring at myself in the mirror and weeping down my hoodie"
Detachments - H.A.L. 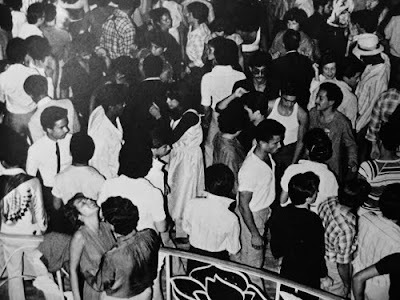 (Andrew Weatherall's Disco Dub) - share with everyone you know! 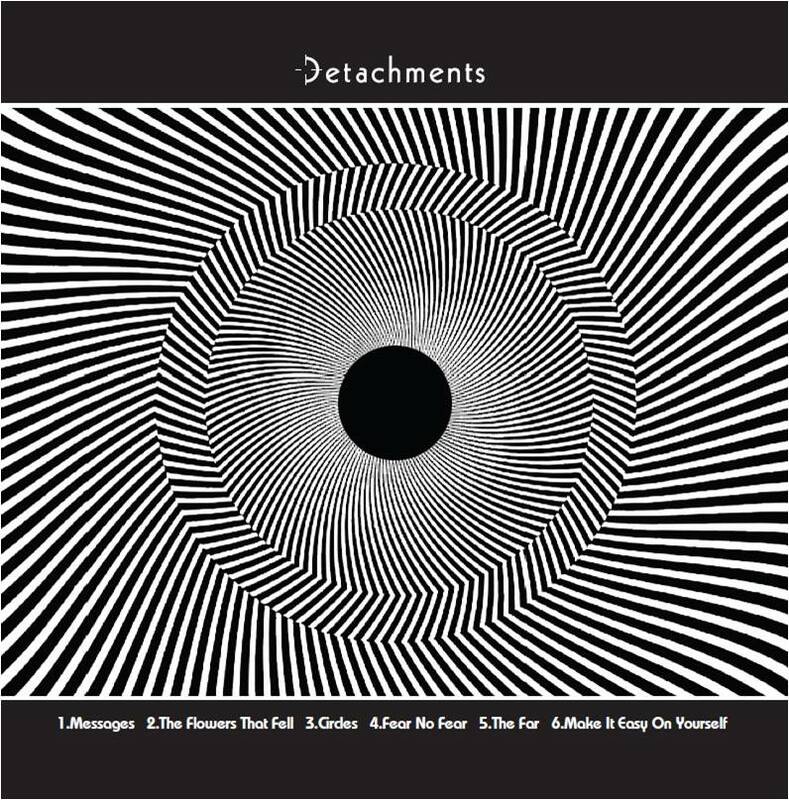 This week sees the release of the first set of remixes of Detachments new single. There are two more sets to come. We're hugely excited about this release as every remix is an absolute killer. This first set contains the legend that is Andrew Weatherall taking H.A.L. losing the vocals, cranking the bass and kicking out the jams. The bassline is absolutely immense. In fact Jah Wobble may well have popped in and dropped this it's so huge. Anyway's it's already got a load of support - featuring on Cosmo Vitelli's TSUGI's best of 2009 Cd, Bill Brewster describing it as simply 'MASSIVE' and Mock N Toof calling it 'PURE ENERGY'. Don't sleep on the flip though. The B-side begins with the Beg To Differ Dub Remix of CIRCLES - this is Roy Dank from Wurst and Nick Chacona's new project. So good James Murphy is playing it. The second track on the b-side is the Night Plane Remix of CIRCLES. Sounding a touch Aeroplane with a synth freakout and balearic nod Ben Pistor emailed us earlier this week saying he gets asked about this every time he plays it. The signs are strong. A big package. Every mix a winner. Get to it. So big it's a Phonica essential release. 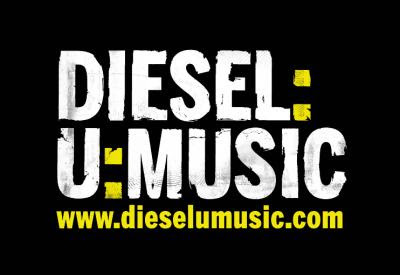 On Monday night we took over Diesel U Music for 2 hours. For those that missed it here's the tracklist and link to download the show as an MP3 so you can listen via your favourite music consumption device. We apologise for the ramshackle nature of the show - we had various technology problems but struggled through somewhow.